Always liked Porsche, particularly the sound. 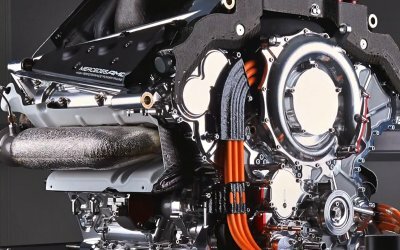 If the engine in F1 was not mandated to be a v, would a flat 6 not be an advantage? Especially with the recovery equipment of today. A low C.O.G and more freedom in the rear shape etc? Flat engines fell by the wayside because of how much floor space they occupy. Mercedes went to huge lengths to try and resolve this with the C291 3.5L flat 12, exhaust came out to top of the heads while the intakes fed through where the plugs are typically located. The entire installation was angled at something like 15 degrees to free up even more volume. Porsche more recently made a mid-engined "911" to compete in GTE/GT2 because they needed a larger diffuser to stay competitive. Aero trumps everything in modern racing. Last edited by Maritimer on Tue Apr 10, 2018 10:27 pm, edited 1 time in total. So it would not help aero? I was thinking height rather than width now that the cars are wide anyway. Would it not even help the rear wing to be away from the bodywork? Did the Ferrari periscope exhausts help BTw? Never seen that Merc engine before thats interesting. For the 919 they opted for a V4 because a V can be used as a part of the chassis. Gearbox and rear suspension are mounted to the engineblock. If any other engine like a flat of line would be used, a separate spaceframe would be needed to mount the rear chassis. The cars themselves are wider now but the body itself is as narrow as possible. Sticking in an engine that's twice as wide as the current one would be very detrimental to flow around the sidepod leading to the diffuser. The cokebottle shape is a direct result of using V engines and drove all of them to use narrow V10s for example, I don't recall any of them being over 80° by the time 05 came around much less 180°. CoG is easy to control without utilizing the engine as a form of ballast. Surely most V10s in 2005 were about 90°? 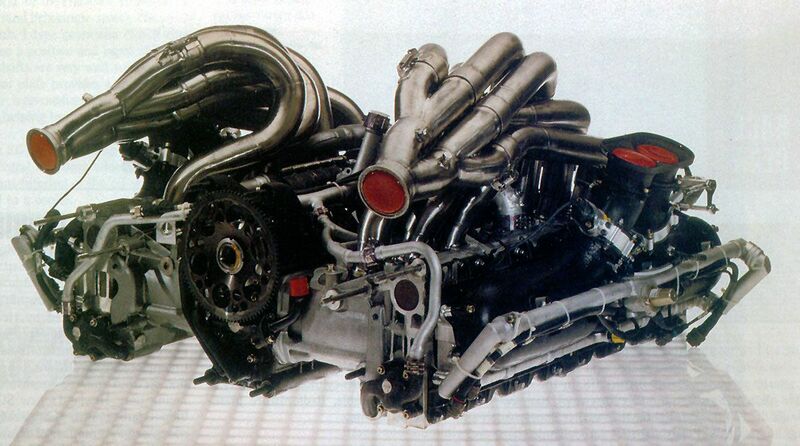 In the pre-V8 2.4 there was no rule how big the V should be. I believe Renault had a 72degree V for a while and even made a 115degree to lower the cog. But most teams were between 75 and 60 degrees. Ok seeing as the new rules plan to phase out the MGU-H, why not make the new formula a 2 liter V12, naturally aspirated, 14,000rpm rev limit, 140kg fuel flow limit and 120kg fuel tank. Standardized block, standardized rods, standardized cam phasing system, standardized pneumatic valve control. Use round poppet valves, 4 valves per cylinder, dual overhead cam, variable lift profiles allowed. Mandate minimum weights for the crank, pistons, and engine assembly, say 97kg for the assembled engine. Engines will be BOP'ed to within .3 seconds around a lap of Barcelona with a standard dummy car. The engine will be good for ~780hp. 3 engine blocks per season 6 heads per season or something to that effect. This is the big question mark for me, transmission mounted? Front mounted? Do we have electric FWD? Should the driver control it on top of the engine? Should it be seamless like now? Either way it looks like we end up with traction control. At the moment there are three factors that primarily affect fuel: 1. how much; 2. how long and how hard the race is; 3. and energy content.